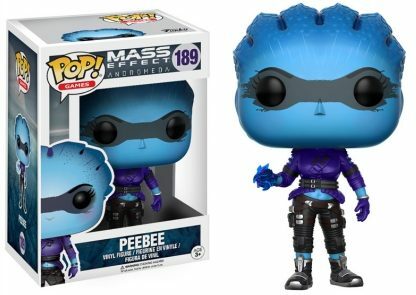 The Funko Pop Mass Effect set includes main figures and retail-specific options that encompass the original trilogy series as well as Andromeda. Developed by BioWare, the first game installment was released in 2007 and each subsequent release has been met with great fanfare. And, the same could be said for their vinyl figures. 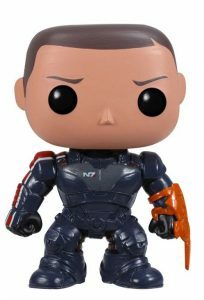 The initial figure release includes the male option for Commander Shepard, wearing his charcoal N7 armor suit and Omni-Tool, as well as the genetically perfect Miranda in a gray uniform. 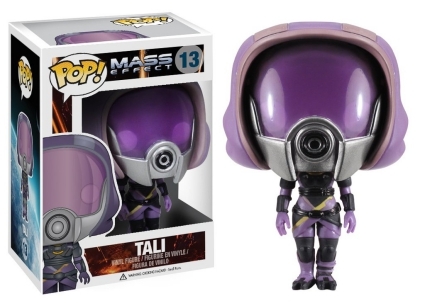 Other Wave 1 options feature the Commander's squadmates: Grunt, Garrus and the mechanical genius Tali. 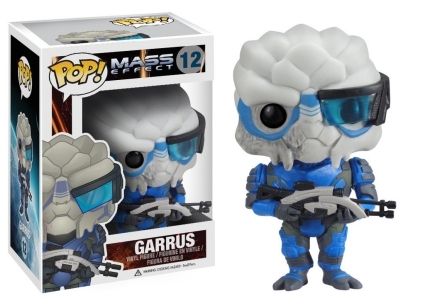 Shop for Mass Effect Video Games on Amazon. 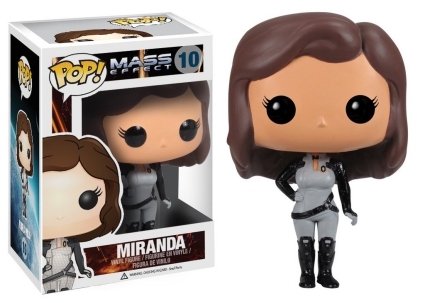 Andromeda takes place 600 years after the end of Commander Shepard's story arc, giving fans and collectors several new Funko Pop Mass Effect choices. 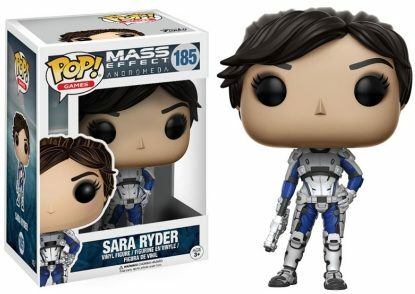 Like its predecessor, gamers can choose either a female (Sara) or male (Scott) to control, only this time around the duo are twins. 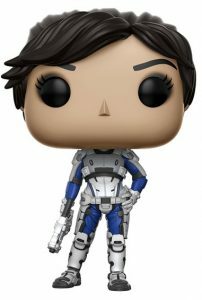 However, only Sara Ryder is found in the lineup, with a main figure dressed in blue and white armor. 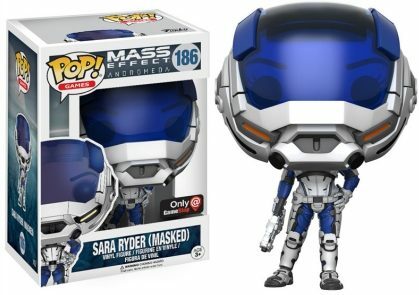 Exclusive editions include a masked version at GameStop along with Sara donning a charcoal and maroon N7 armor suit at Best Buy. Numbered as part of the Pop! 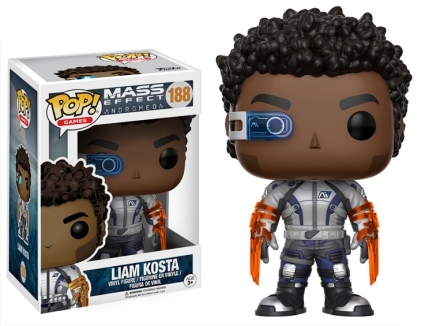 Games line, other characters in Funko Pop Mass Effect include fellow human Liam Kosta, who appears to be wearing two Omni-Tools, as well as Angaran, Jaal, and Peebee. 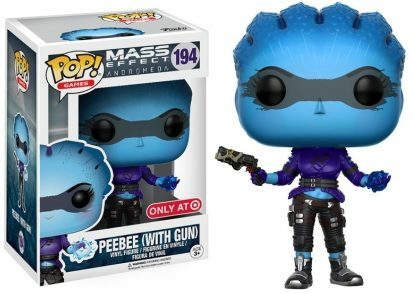 A variant of Peebee wielding a gun can be found at Target outlets. 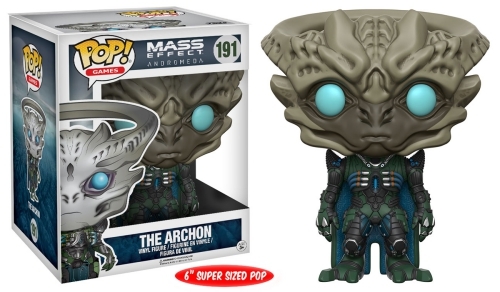 Lastly, The Archon appears to be the only figure larger than the standard Pop! 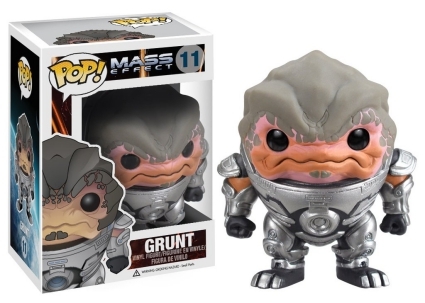 size (3 3/4") as the villain leader is issued as a 6" Super Sized Pop! 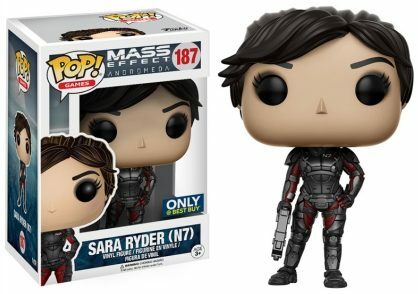 Noticeably, figures #192-193 are missing from the set checklist which could indicate future exclusives (GameStop Mystery Box?!? ), however, that has not been confirmed at this time. Funko POP! 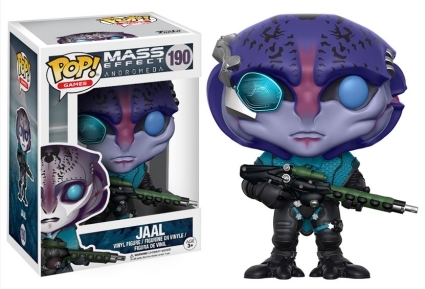 #188 Games: Mass Effect Andromeda Liam Kosta Vinyl Figure NEW! Funko POP! 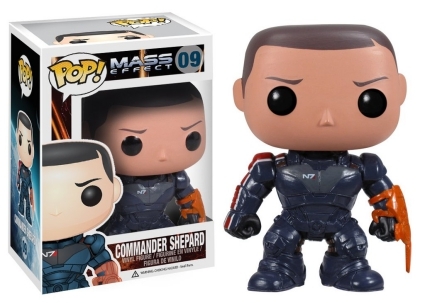 #09 Games: Mass Effect COMMANDER SHEPARD Vinyl Figure New!